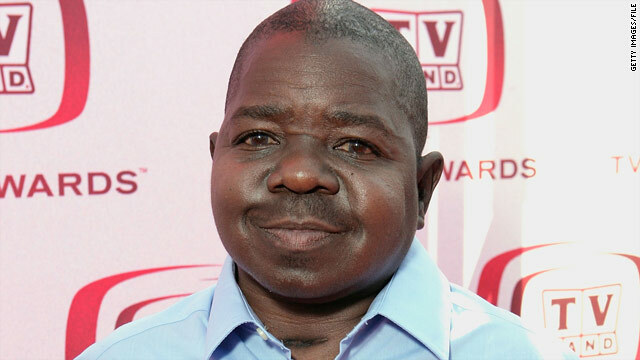 Child star Gary Coleman died in a Utah hospital Friday. (CNN) -- Actor Gary Coleman battled major medical problems including an on-set seizure, several operations, transplants and a lifelong kidney condition. The 42-year-old former child star died Friday after life support was withdrawn in a Utah hospital. A kidney condition stunted his growth, leaving him at 4 feet, 8 inches throughout his adulthood. Three months ago, Coleman was hospitalized after suffering a seizure while being interviewed on a TV show in Los Angeles, California. On Wednesday evening, he fell ill at his Santaquin, Utah, home, according to a hospital statement. He suffered an intracranial hemorrhage and went from lucid to slipping in and out of consciousness by Thursday, according to a statement from the Utah Valley Regional Medical Center. Intracranial hemorrhages occur when blood seeps out of vessels in the head. As the volume of blood increases, it applies more pressure to the brain and can cause comas and death. These hemorrhages can be caused by traumatic or non-traumatic events. "Traumatic intracranial hemorrhage is what the name suggests: a blow to the head, a concussion," said Dr. Robert Stevens, associate professor in neurology and neurosurgery at Johns Hopkins University in Baltimore, Maryland. A common scenario is when someone falls and hits his or her head. "This can lead to bleeding in different compartments and bleeding around the brain," he said. A patient may "initially have few symptoms, but as the blood is increased in volume, they can become comatose." "There's only so much swelling brain can tolerate until there's pressure on the nerves that control breathing and circulation," said Dr. Roger Bonomo, director of stroke care at Lenox Hill Hospital in New York. "When the circulatory control mechanism is interfered, the blood pressure drops and your body goes into shock. That's how brain death is followed by cardiovascular death." Lifesaving procedures include surgery to remove the blood clot or medication to lower the blood pressure or blood flow to the brain, Stevens said. But these procedures have to be done early. Non-traumatic hemorrhages are caused by ruptures in the blood vessels in the brain, which could be caused by high blood pressure. The bleeding starts small but could get worse over time. Coleman also had nephritis, a potentially fatal kidney condition, and underwent several operations and a kidney transplant by the age of 5. His illness required him to take "so many pills a day, you'd think I'd rattle," Coleman once remarked to People magazine. Triggered by a person's abnormal immune system or an infection, nephritis occurs when the kidney's filters become inflamed, scarred and destroyed. The kidney isn't able to regulate the amount of salt, water, calcium and phosphorus in the body. This kidney failure could stunt a child's growth. "There are growth plates at the end of the bones," said Dr. Leslie Spry, a spokesman for the National Kidney Foundation. When a kidney does not function regularly, these "growth plates close, and they don't grow." Pediatric nephrologists treat the problem by administering growth hormones to young patients, but those treatments usually can't help a child grow to the same height as his or her peers, Spry said. Coleman's first kidney transplant began to fail and he received a second at the age of 14, according to 1983 news reports. Throughout his life, he was often hospitalized with kidney problems and suffered two seizures, according to various newspaper reports. Coleman achieved stardom as Arnold Drummond on the late-'70s and early '80s sitcom "Diff'rent Strokes."